Special Agent Jess Bishop is back in the third book in the Jessica Bishop Series. 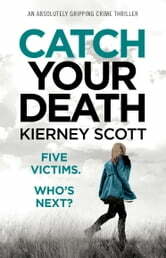 In Catch Your Death Jess is asked by her boss to check in on her nephew seventeen-year-old Levi who attends a prestigious school called Gracemount Academy where the yearly fee is a staggering $50,000 as he rang her in a panic and she is out of the state and can’t reach him. Upon arrival at the school, the dorm warden leaders her to Levi’s room but he’s not there. After some investigating of the building he is found dead in the shower room, it looks like suicide. The dorm warden starts babbling about this not being the first suicide at the school and that in the last five months five of the boys have all killed themselves. On the hunt for some truths about what has been happening she is led to believe that an online social media game called ‘The Last Supper’ is leading these kids to kill themselves but Jess isn’t convinced, things just don’t add up. Trouble is whenever she gets close strange things happen, evidence goes missing, people turn up dead. Could someone be trying to sabotage her investigation? What an amazing book. I read it in just a few hours and in one day, I just didn’t want to put it down. From the opening scene, which will become clear later in the book, I was hooked. Whilst there are three books in the series I have only read two of them, this one and book two ‘Cross Your Heart‘ which I also awarded five stars. I really must go back and read book one. What I love about this series is that Jess isn’t your usual FBI agent, she has flaws, she pops pills likes sweets for an injury she sustained in the first book. She also has her own way of dealing with the pain! She is a woman that never gives up, she’s had to grow up dealing with a lot of issues which in this book are thrown to the forefront as the person(s) try to stop her from doing her job. The book was intense and although you know from early on who is most likely trying to stop Jess, the bigger picture doesn’t reveal itself until late in the book which is why I was so gripped to the pages, I needed to know. I also needed to know what the opening scene meant as I couldn’t work out where it fitted into the story. 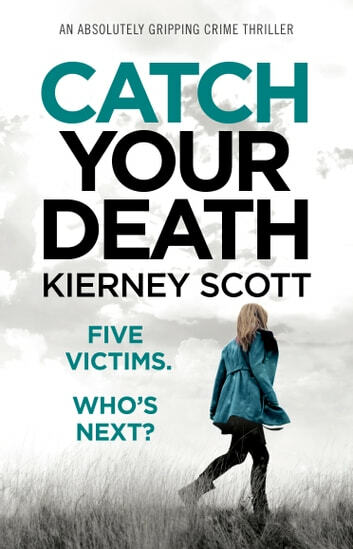 If you are after an edge of your seat, gritty, realistic thriller then give this series a read. Believe me, these books will have you yearning for more. I do hope that we will see Special Agent Jess Bishop again.